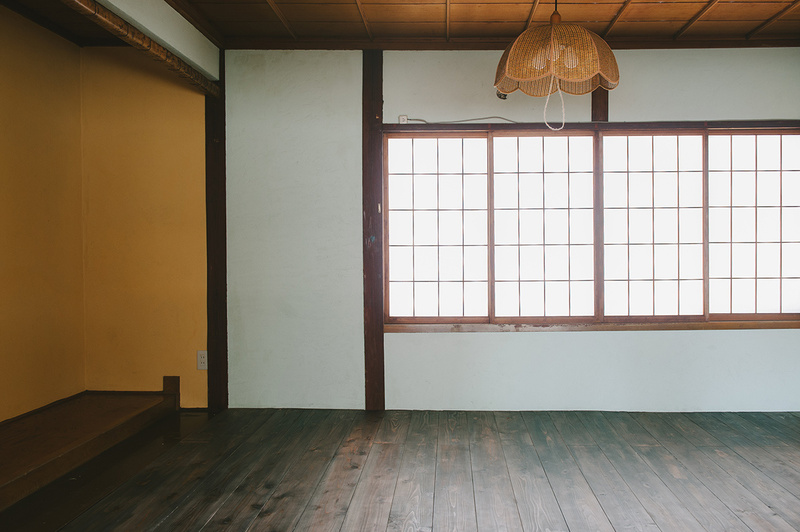 Located on the first floor with view of a Japanese garden. Maximum capacity of 4 people. Cost is 3,300 yen per person oer night. 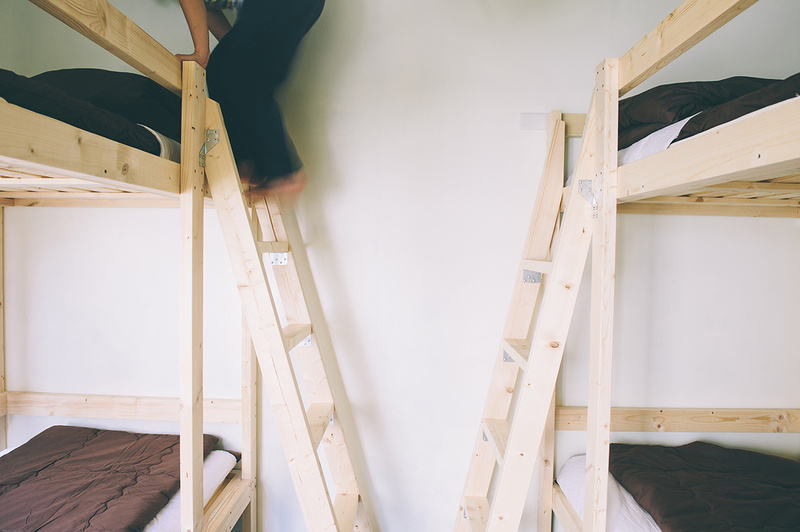 Cost is 3,300 yen per person per night. A beautiful room on the second floor. Maximum capacity of 3 people. Cost per night per person as below. For questions about your stay, check in, and check out (front desk hours). If necessary, we can help store your luggage outside of the above hours. ・This building was made 60 years ago and is located in a quiet residential neighborhood. ・The shower, toilet, sink, and kitchen are shared for the entire building. You may cook for yourself. A dryer and free towels are also provided. ・We will provide sheets, pillow covers, etc. Please make your own bed before sleeping. 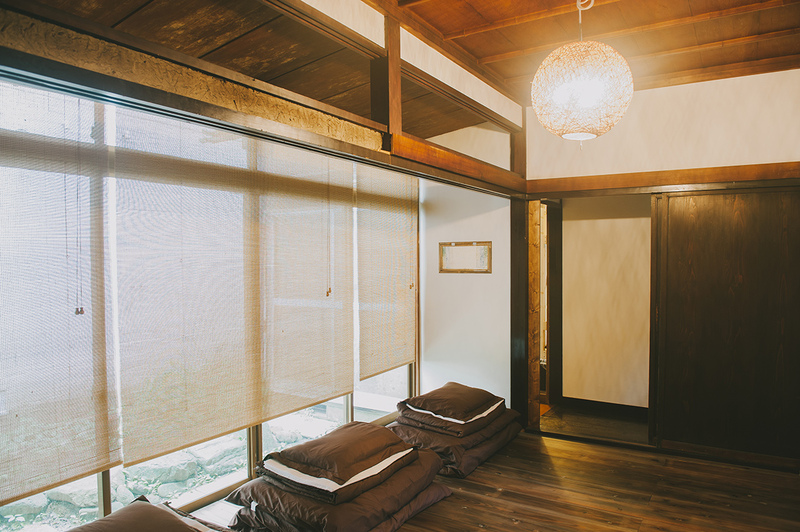 ・There is no AC, but we will provide traditional Japanese methods for adjusting to the temperature. ・There is no smoking allowed within the building, but you are free to do so outside. You may use the parking lot (2 parking spots) adjacent to SAMMIE’S for 500 yen per night. Please contact us if you would like to use the parking lot. You may cancel for free up to 3 days from the first day of your stay. If cancelling between 1-2 days before, you are reponsible pay 50% of your lodging. If you cancel on the same day or do not contact us, you are responsible to pay 100% of your lodging. Copyright SAMMIE'S. All Rights Reserved.